Those of you who attended the 10th annual Dream Big Charity Gala and met Sophie, the rescue dog from Big Paws of the Ozarks, are probably wondering how she is doing in her new home. Well, we reached out to Katey Walsh, her new dog mom, for an update and Sophie seems to be doing great and loving her new big brother as well! 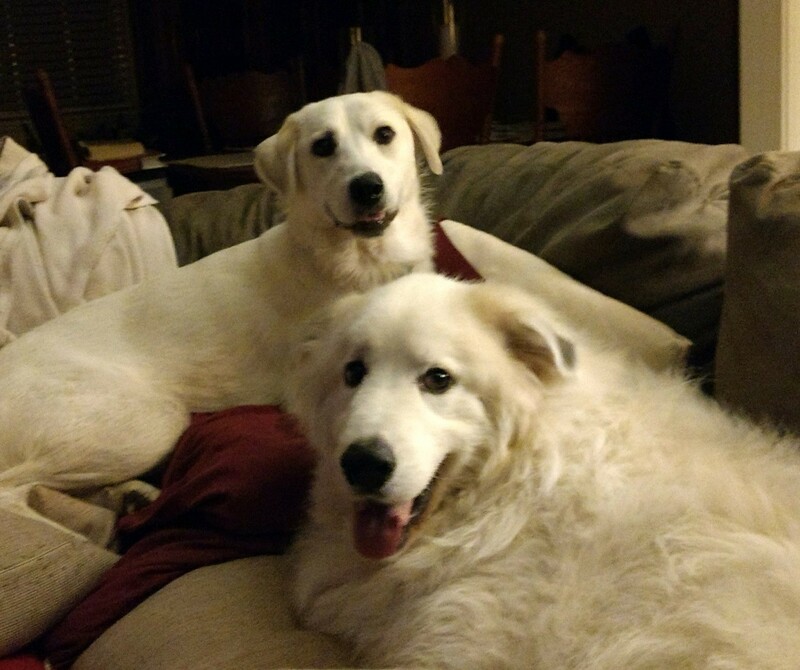 Update from Katey - We had been looking to adopt another dog for the past several months. 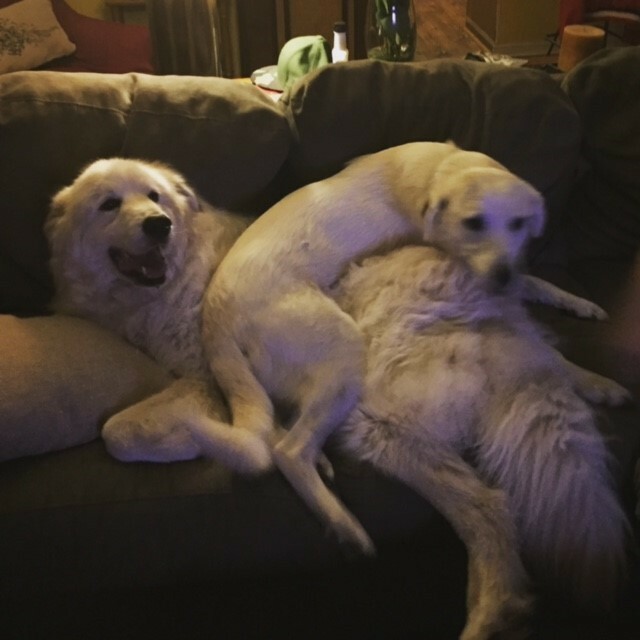 When I first saw Sophie's picture I thought she would be a perfect addition to our family, especially for our other dog, Milo, who is also a Pyrenees. When we finally got to meet her at the Dream Big Gala we were immediately in love. She was a little shy and apprehensive the first couple of days but once she became comfortable with us and her new surroundings it was like she had lived with us her entire life. Milo is the best big brother and welcomed her with open paws. They love romping in the house and chasing each other in the backyard. She is always smiling and loves being petted. Our hearts are definitely full. Thanks so much to Children's Safety Center and Big Paws of the Ozarks for bringing us together! I walked and worked with Sophie last night, this is what I have observed. While walking she consistently looks back at you for praise and assurance. She loves to be loved on. She is very calm. I have not actually heard her bark. She has a sore behind each of her ears. We have been putting antibiotic ointment on and they have almost healed up. I believe the ear sores created by the collar and cable she (owner) had attached to her when Animal Control found her. This was not a small tie out cable she was dragging. It was a very large metal cable like you would see on high line wires very heavy as well as big metal attachments on each side. I think every time she moved she rubbed spots on her ears. The cable looked like it had finally been frayed and broken by her constantly dragging it across something. She had probably been attached to the cable for months and months. Once it broke and she was free she just kept running with the part that was still attached. She is 2-3 years old. 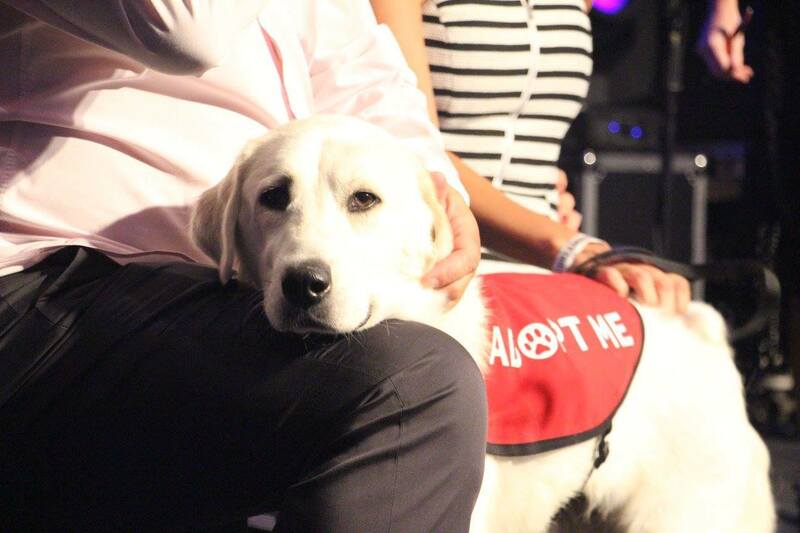 The Children's Safety Center and Big Paws of the Ozarks decided to team up at this year's gala to help both abused children and abused animals at the same time. The children served by the CSC and the dogs rescued by Big Paws have very similar stories of abuse and neglect but also those of hope and healing. Together we not only raised much needed funds for the Children's Safety Center and found a great home for Sophie, but both organizations gained awareness of the free services they provide in our community.